Syrup. Neeri KFT Review: Ingredients, Indications, Dosages, Indications, Precautions, Contraindications. HomePatent DrugsSyrup. 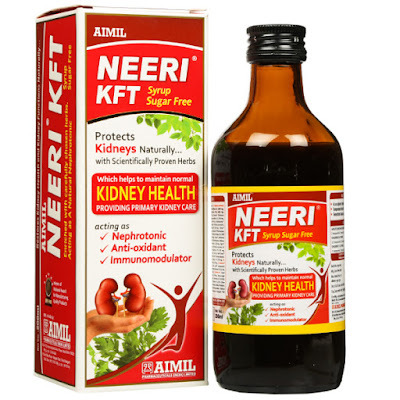 Neeri KFT Review: Ingredients, Indications, Dosages, Indications, Precautions, Contraindications. Used as a protective of renal tissues during the use of nephrotoxic drugs. Used widely in chronic or acute renal failure cases. Useful in compromised renal function. Use carefully when administered in patients with electrolytes imbalance. Is it safe for patients having diabetic nephropathy ? It is purely herbal and made on using sugar free base. So in-spite of sweet taste it is safe and suitable for diabetic patients with renal impairment.